This is an upload of Austin Budget Simulator data used in the FY 2016-17 Public Engagement Report. Through use of the online Austin Budget Simulator, participants were able to increase funding by 5% or 10%, maintain current funding, or decrease funding by 5% or 10% in 49 different City of Austin Service Areas. This dataset includes service area responses and open-ended comments.  The Austin Budget Simulator was available to general public from April 22 to July 15, 2016. This dataset shows results received from self-selected participants during that period. More information about the Austin Budget Simulator activity and results are available in the FY 2016-17 Public Engagement Report: http://austintexas.gov/sites/default/files/files/Finance/FY_2016-17_Public_Engagement_Report.pdf.